This article is 2737 days old. 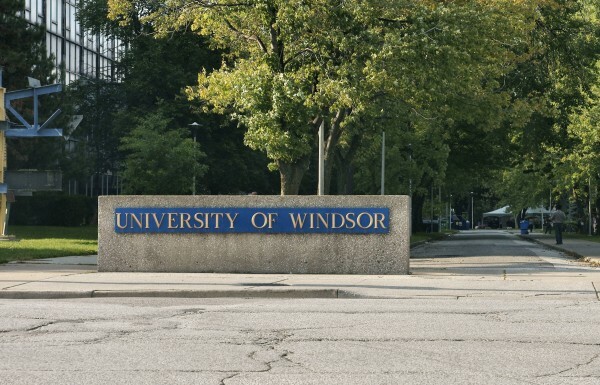 On Saturday, the University of Windsor will confer degrees on 876 graduating students during two sessions of the University’s 96th Convocation ceremonies at the St. Denis Centre. The Fall Convocation schedule begins at 10:00 am when degrees will be conferred on the graduating classes in the Faculty of Engineering; Faculty of Nursing; Faculty of Science; Inter-Faculty Programs; and the Faculty of Graduate Studies. In the afternoon at 3:00 pm, degrees will be conferred on the graduating classes in the Faculty of Arts and Social Sciences; Faculty of Education; Faculty of Human Kinetics; Faculty of Law; the Odette School of Business; and the Faculty of Graduate Studies. As well, during the afternoon session, Sheila Fraser, former Auditor General of Canada, will receive an honorary degree. As Auditor General, Ms. Fraser ensured that parliamentarians had objective and reliable information by which to scrutinize government activities and hold governments accountable for its stewardship of public funds. She promoted the use of plain language in the Office’s performance audit reports tabled in the House of Commons. At her initiative, Canada was the first legislative audit office to request a review of its performance audit practice in an effort to provide assurance about the quality of its work. In 2004, an international team of legislative audit representatives completed a highly favourable report. Before joining the Auditor General’s office, Ms. Fraser was a partner at Ernst & Young where she was responsible for a wide range of private and public sector clients. She has been awarded the Prix Émérite 1993 and the designation “Fellow,” by the Ordre des comptables agréés du Québec and by the Institute of Chartered Accountants of Ontario. She received the Governor General’s medal commemorating Canada’s 125th anniversary in 1992 and was a 2009 recipient of the ICAO Award of Outstanding Merit, the highest honour that the Institute of Chartered Accountants of Ontario can bestow upon its members. Ms. Fraser has served as Chair of the Public Sector Accounting Board of the Canadian Institute of Chartered Accountants; chaired the Working Group on Environmental Auditing and the Professional Standards Committee’s Sub-committee on Supreme Audit Institutions Independence; two committees of the International Organization of Supreme Audit Institutions (INTOSAI). In January 2008, she began a three-year term as Chairperson of the Professional Standards Committee’s sub-committee on Accounting and Reporting and was appointed a public member of the International Federation of Accountants-International Public Sector Accounting Standards Board (IFAC-IPSASB) in 2008.